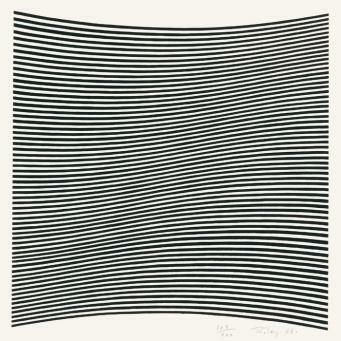 Bridget Riley studied art at Goldsmiths College and later at the Royal College of Art. 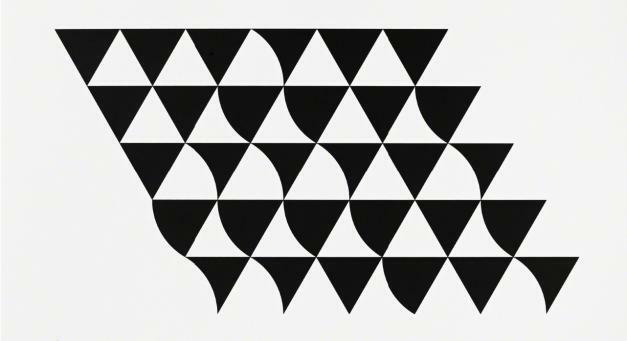 As a pioneer of Optical Art, her signature style consisted of black and white geometric patterns that explored the dynamism of sight. 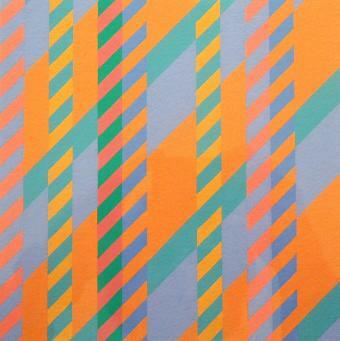 Riley's work presented a great variety of geometric forms that produced sensations of movements of colour. Her works actively engage the viewer's sensations and perceptions. 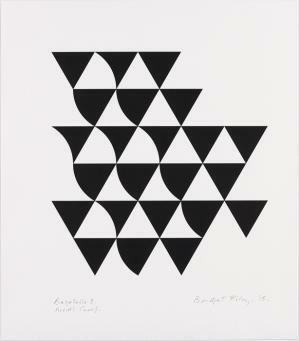 Riley had her first solo show in London in 1962 at Gallery One run by Victor Musgrave. 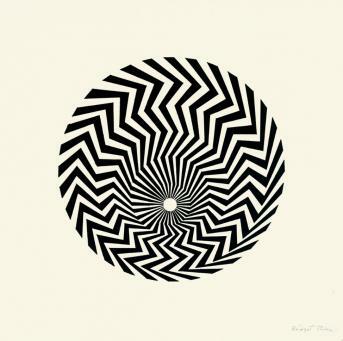 In 1965, Riley exhibited at MOMA in New York City which drew worldwide fame to her work and the Op Art movement. 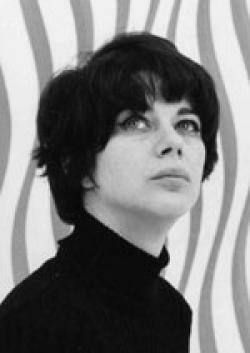 In the late 1960's she and fellow Op artist Peter Sedgley created the artist organization SPACE, with the goal of providing artists large and affordable studio space. After a trip to Egypt in the early 1980's, Riley was influenced by the hieroglyphic decoration and began to explore colour and contrast.